We guestimate that the grams of sugar for the 20 oz. 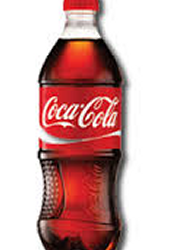 coke bottle would be 9 grams for one serving size.Then we found out that the grams of sugar there really was 65 grams. Then we set up a proportion for the grams of sugar in a 20 oz. 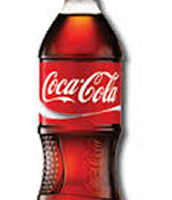 drink which was 20 oz./65 g.
We also guestimate that the would be 0 grams of sugar for one serving size because it is called coke zero. Then I found out that there was 0 grams of sugar in coke zero. Then I also made a proportion that has the amount of grams of sugar in the 20 oz. drink. 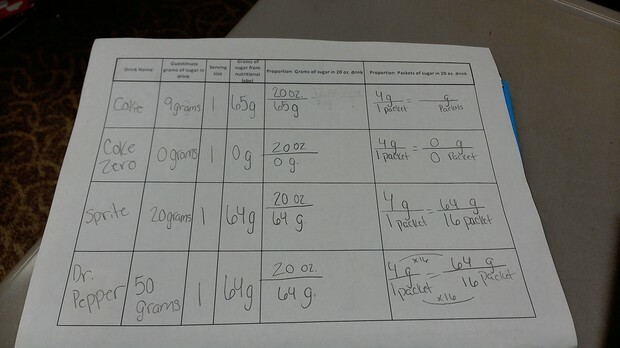 So I did 20 oz./ 0 g. Then we had to determine the proportion for the packets of sugar in a 20 oz. drink. So we did 4 g/1 packet= ? g/ ? packet. The thing is that we need to figure out how many packets its going to take but sine the grams are zero it means that both the grams and the number of packets is zero. So at the end I got 4 g/1 packet=o g/o packets. This is a picture of a 20 oz. 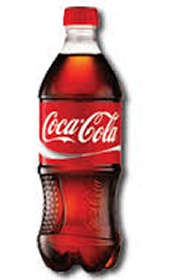 coke bottle that I used in my smore. This another picture of a 20 oz. sprite bottle. This is my last picture which is a picture of a 20 oz. dr. pepper bottle. We had guestimated that the sprite would have 20 grams of sugar for one serving size.Then we when had researched how many grams of sugar there was and there was 64 grams of sugar in a 20 oz. 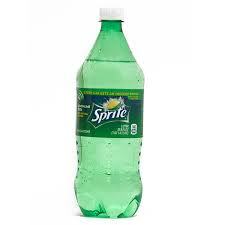 bottle of sprite. Then we set up a proportion for the grams of sugar there was in a 20 oz. drink of sprite so we did 20 oz./64 g. We also did a proportion that determined how many packets of sugar was in a 20 oz. drink so we did 4 g/1 packet= ? g/ ? packets.So then we did 4 times 16 gave us 64 so we did the same for the one so we did 1 times 16 gave us 16.After all of that we had a proportion of 4 g/ 1 packet= 64 g/ 16 packets. That was what we got at the end. On this one we had guessed that it would be 50 sugar grams for one serving size. Then when we had researched what it really was which was 64 grams of sugar. Then we set up another proportion which told us the grams of sugar in a 20 oz. drink and we got 20 oz./64 g as out proportion. Our last proportion we set up told us the number of packets of sugar in a 20 oz. drink so we did 4 g/1 packet= ? g/ ? packets. So then we found out from our other one that 4 times 16 gave us 64 and then we did 1 times 16 gave us 16. At the end we had 4 g/1 packet= 64 g/ 16 packets as our answer.